Had a quiet day on Saturday so in between doing a mess of laundry and whatnot I managed to get a fair bit of painting in! I really like how the Veterans turned out - all the extra scrollwork and detail on the armour, plus the vaned helmets and loincloths really help sell that this is a veteran unit. I went with bone-colored helmets for these guys, and ended up liking it so much that I pulled all the other sergeants from the squads and painted their helmets in bone as well. 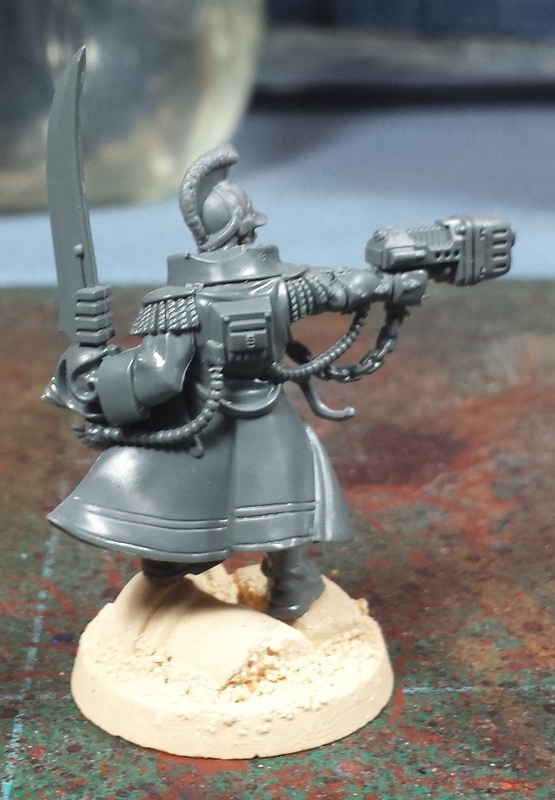 The Seeker squad is pretty straightforward - they're not full-blown veterans, but are the sharpshooters of the legion (what with them being BS5), so they got the fancy shoulder pads to help them stand out. All the weapon housings ended up getting done in bone on the vets and seekers, and think I'll go back and paint all of the various bolters and bolt pistols in the old squads to match (they're currently just done up in shaded metal). 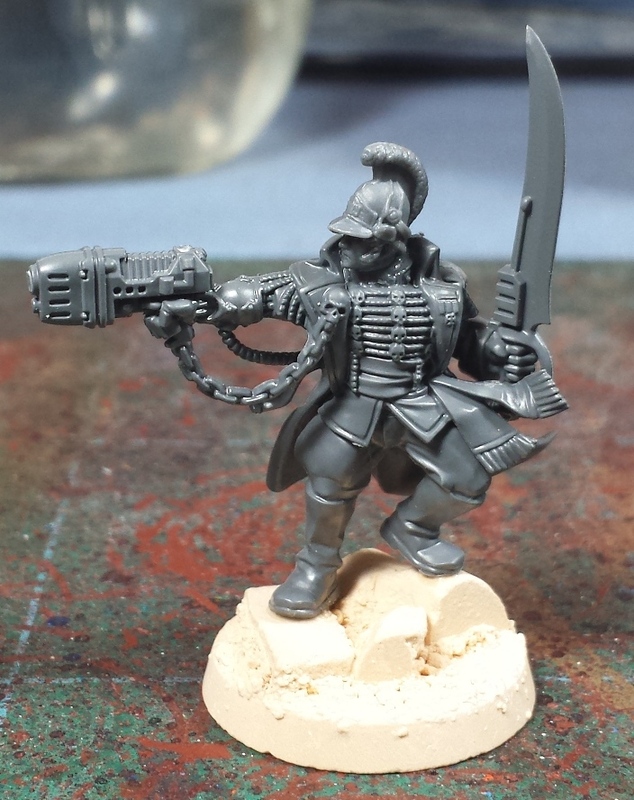 While I was sorting through the bits to see what was left, I ran across the new commissar model I'd picked up - a simple headswap and I think we have a passable Captain Sokhem Vithara to lead the Spireguard! Getting antsy to see the new Conquest book, there's a lot of stuff I'd like to do with both the Spireguard and the Geno Five-Two, but I have to refrain from building too much until I can see how the unit compositions differ from the current-era guard! Bone highlights do indeed make these chaps pop. Very much a "special" air about them to set them apart from the regular rank and file. Man your painting output... puts me to shame. 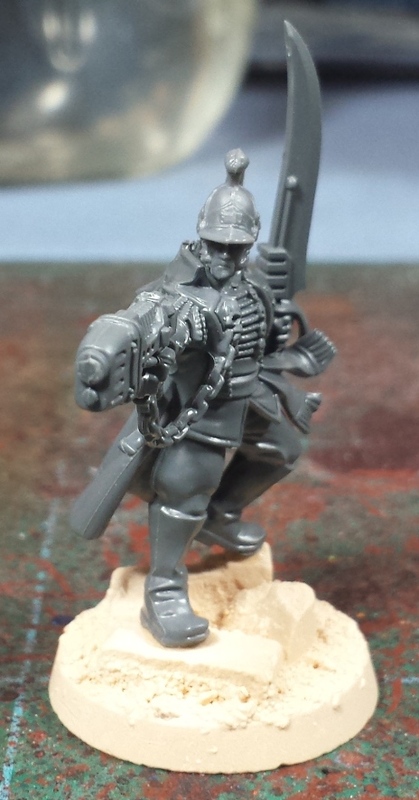 love that commissar kit bash! Always a fan of seeing these guys come along. What an army. Every time I see these guys, you start wearing me down...makes me want to sell my black templars, and make the first templars, where they are all in this style armor, with partial imperial fist schemes, with black sprinkled through out...and crosses...crosses everywhere! @Zab: Cheers man - amazing how much a simple head swap can change the whole look of a mini! @Greg Hess: Indeed! The Imperial Fists are downright scary in the Heresy lists, and their predominantly-black livery is a great look! Lovin' these guys, they just pop! I love the bone casings, what did you use to shade it? 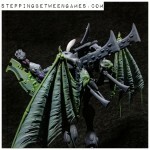 I have been using bone to make my otherwise grey Relictors 'pop' a bit more for years! I am in approval! Looking great - still not got the 30K bug as I have loads of 40K still to paint!! @Siph_Horridus: It started off with a leather brown base, then a light bonewhite (which is slightly translucent so the brown warms up the tone). Once that's done I gave the very edges a little ghost grey highlight. Easy peasy!